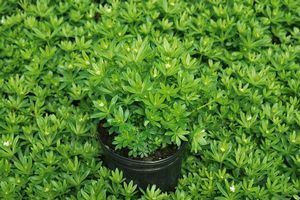 Galium is an herb-like ground cover with whorled shiny-green leaves that hug the ground at about 6”. 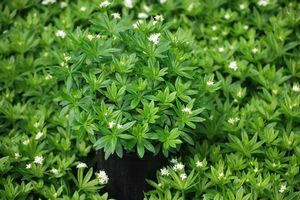 It prospers in the shady, moist, well-drained, slightly acidic soil site it loves best. 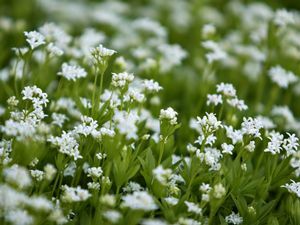 Fragrant tiny white flowers are a bonus in May and June. The foliage is fragrant when dried. 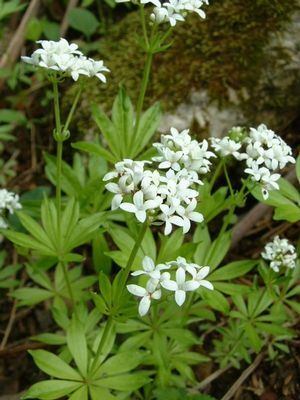 Galium works well under shrubs or in a naturalized area.